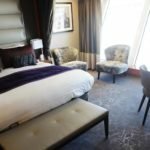 The Princess and I were lucky enough to be invited onboard the newly refurbished Norwegian Dawn late last week to check out the new spaces and updates made throughout the ship. 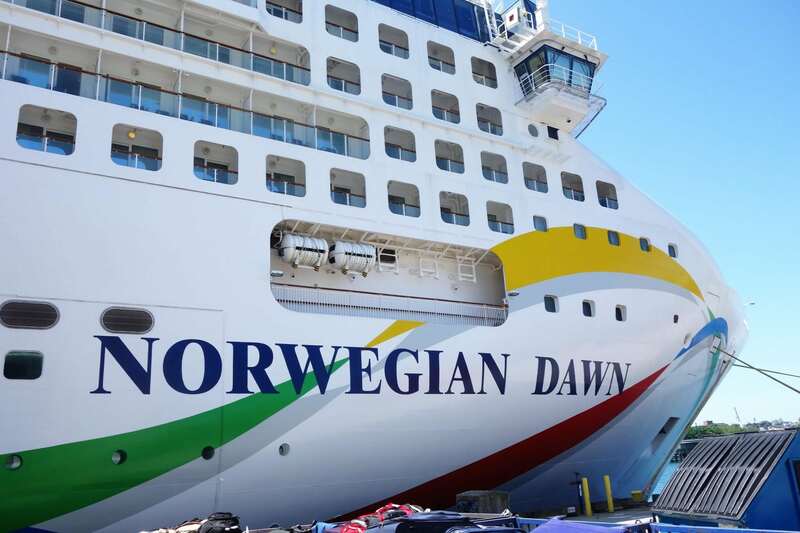 The Norwegian Dawn spends half of the year in our homeport of Boston, MA, completing 7 night Bermuda cruises and winters in New Orleans, completing Western Caribbean cruises. 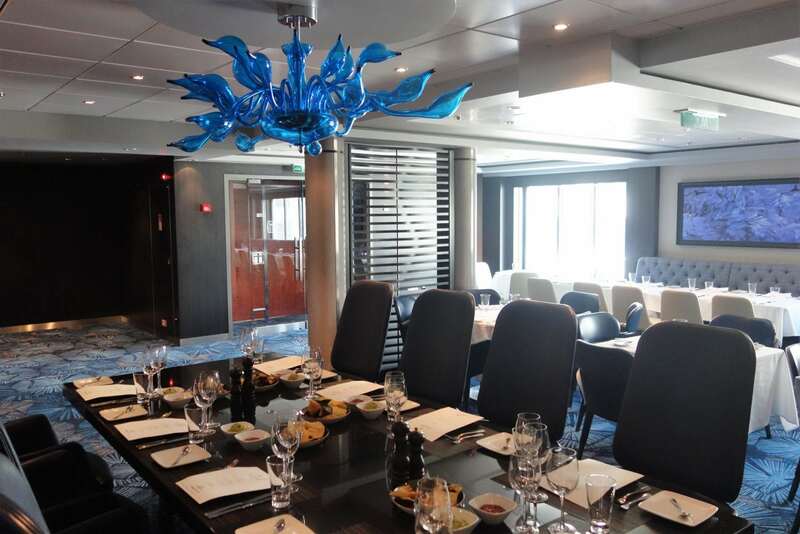 Courtesy of NCL, we received a guided tour and a special lunch on this newly revitalized ship. 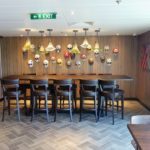 Of course, we took plenty of Norwegian Dawn pictures while onboard and want to share them with you in this week’s post. 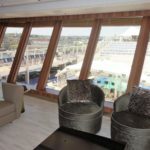 The ship looks amazing, so sit back and enjoy our behind the scenes tour of the new Norwegian Dawn. 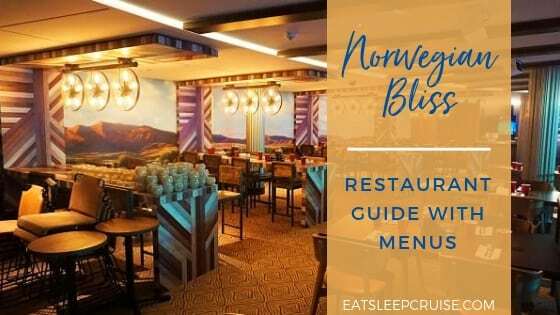 Getting VIP access, we boarded the Norwegian Dawn around 11am and were escorted to the new Bliss Ultra Lounge on Deck 7 for a brief presentation. 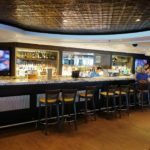 Replacing the former Spinnaker Lounge, the Bliss Ultra Lounge has a brand new bar, seating, flooring, and contemporary accents. 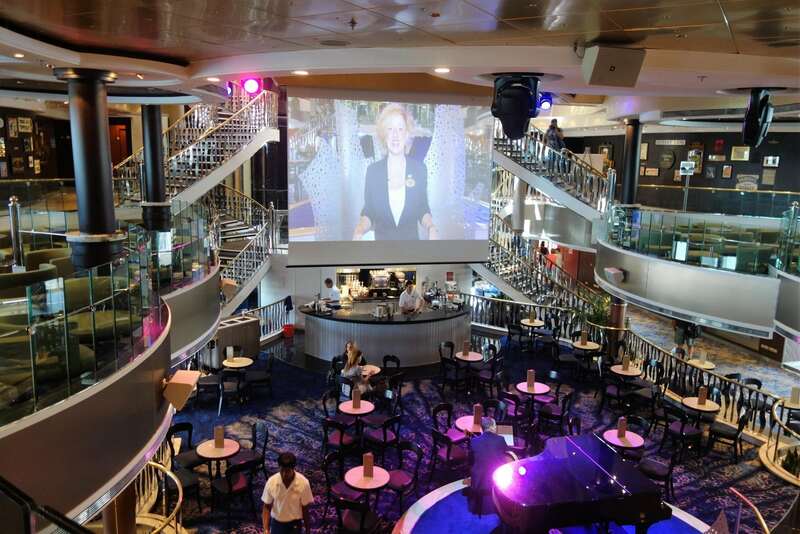 It will host game shows and entertainment during the cruise. 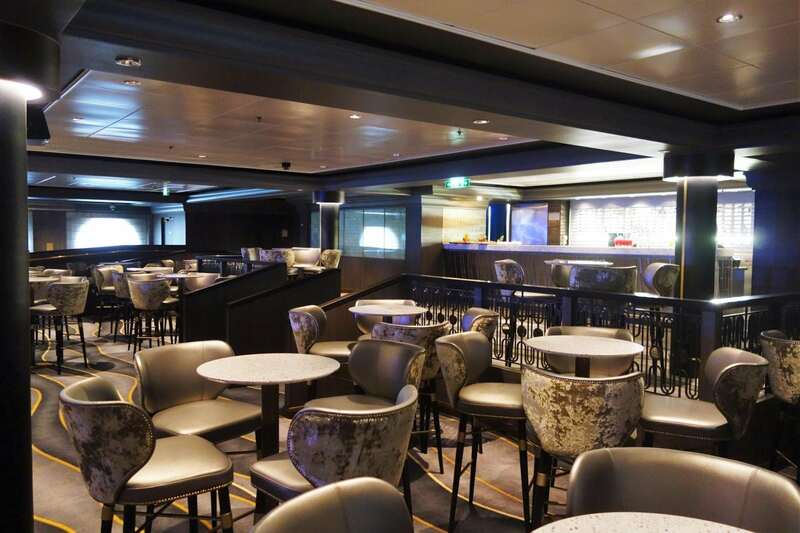 We suspect this venue will be one of the main nightlife spots on the new Norwegian Dawn. 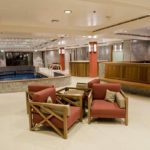 Taking a total of 30 days and 1250 workers, Norwegian Dawn went through a massive update that left no venue or room untouched. 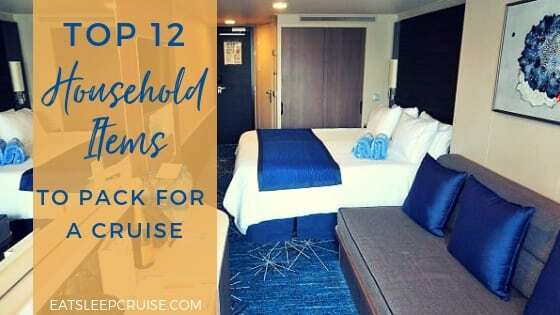 Each and every stateroom received new furnishings and decor, along with upgrades to over 40 public venues. 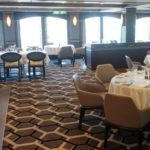 Throughout the ship, new furniture and over 440,000 square feet of new carpet were added. Don’t worry, the fish still swim forward to give you some sense of direction. After the introduction and overview of the new changes by NCL President Andy Stuart, we were led on a guided tour. 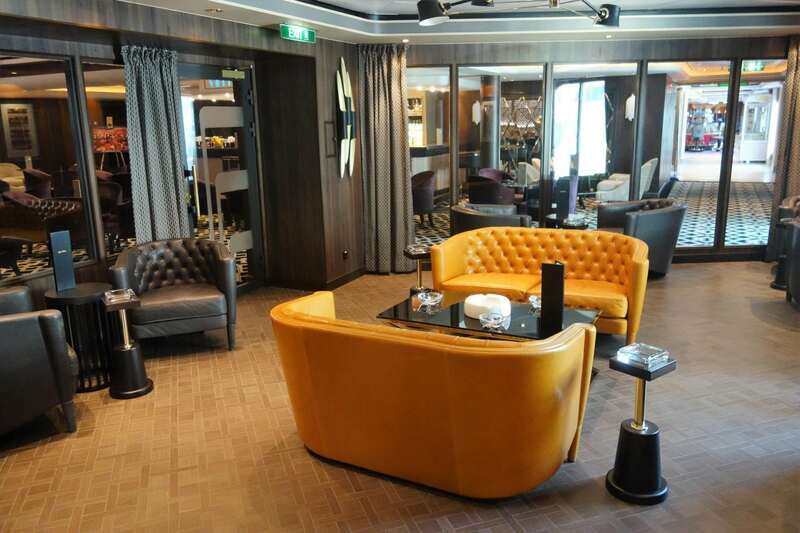 Our first stop was the updated Garden Villa Suite, currently the largest suite on any cruise ship. 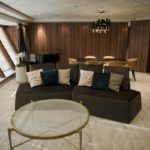 With over 6600 square feet of living space and a large outdoor deck space, this 3 bedroom suite can house up to 7 guests. 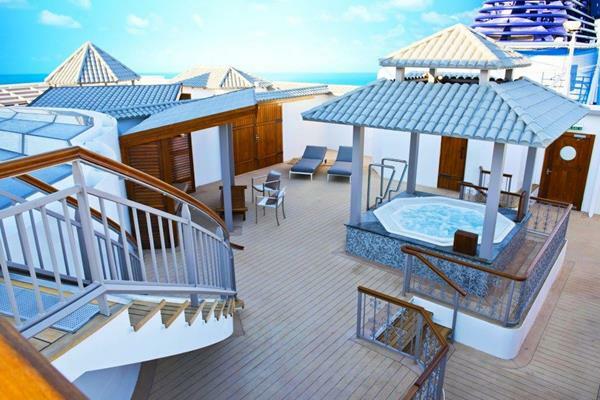 This suite comes complete with a private, two tiered sundeck with a hot tub and a personal butler. 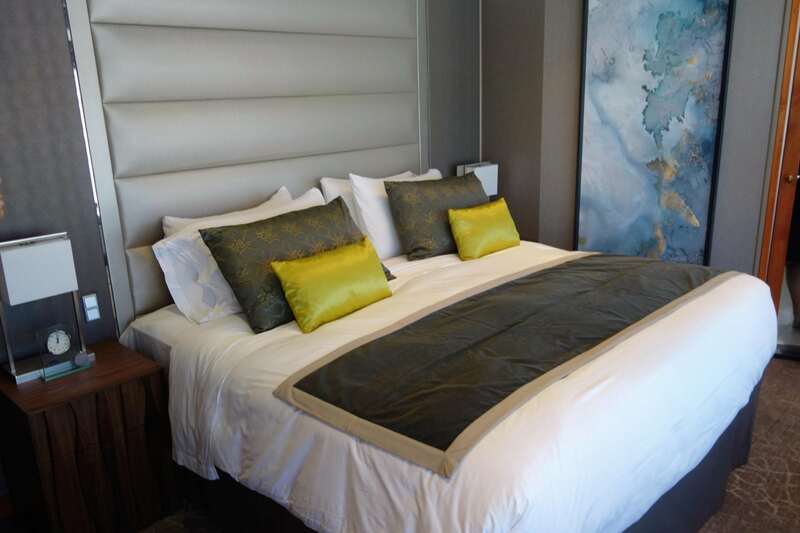 The new decor has a more modern and metro appearance, with all new flooring, lighting, bedding, and fixtures exuding sheer elegance and luxury. 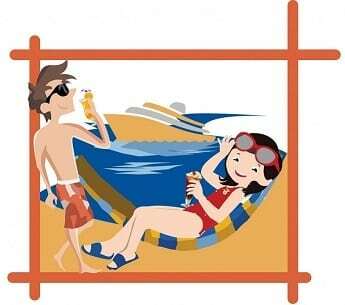 From here, we were able to get a glimpse of the Pool Deck, which was also redesigned to have a livelier and more open atmosphere. 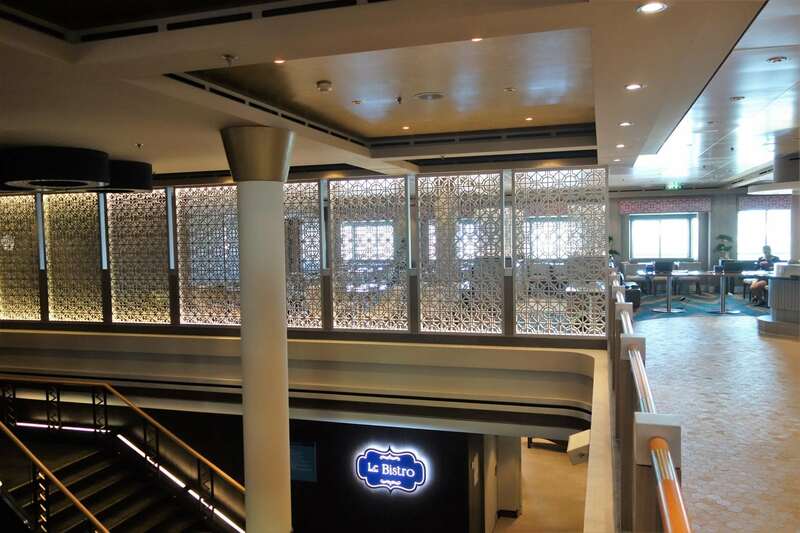 During our time on the ship, we were able to view many of the indoor spaces including the elevators, walkways, and even restrooms which all received a fresh look with more contemporary finishes. 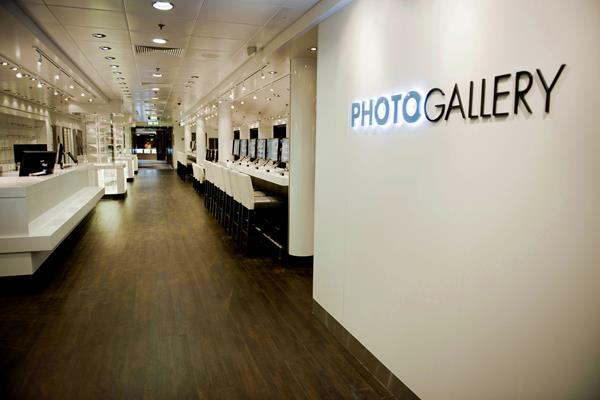 One of the most impressive revitalizations was the Photo Gallery on Deck 7. 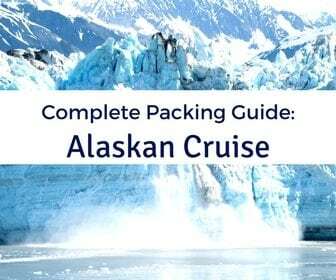 With new computers and a photo file system, this futuristic gallery will certainly help cruisers find and purchase their onboard photos more quickly! 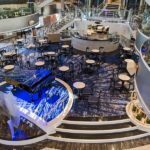 The Atrium on Deck 7 also received a much needed face-lift with plush seating and new design making this central area sparkle. 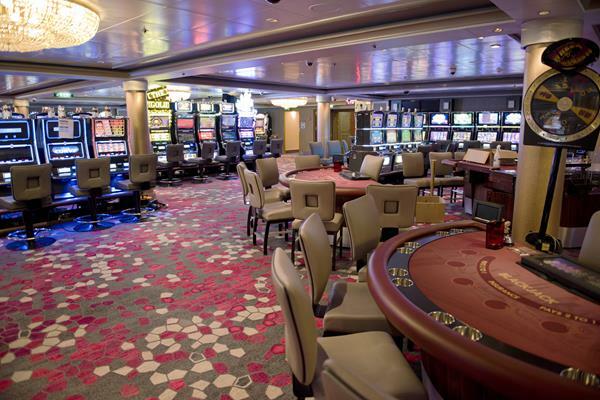 Both complimentary main dining rooms, the Venetian and Aqua on Deck 6, got brand new styles. 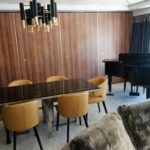 New upholstery, decor, lighting and wall coverings now adorn both rooms. Enjoying lunch in Aqua later in the tour, we were impressed with the subtle, yet eye-catching layout that makes you feel like you are in an intimate, specialty restaurant. 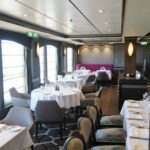 The ship’s Garden Cafe, the buffet on Deck 12, was also transformed. 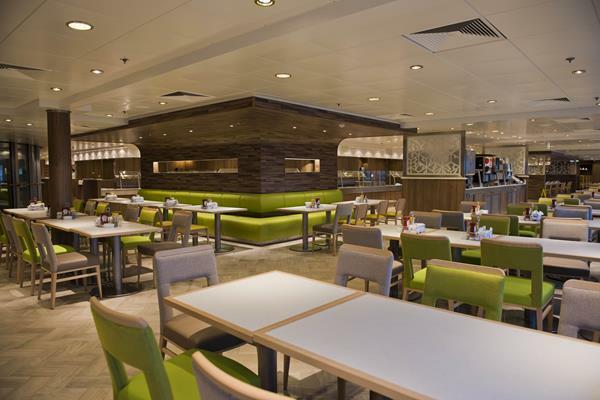 The new styling, pops of color, and wood accents make it seem much less like a buffet. 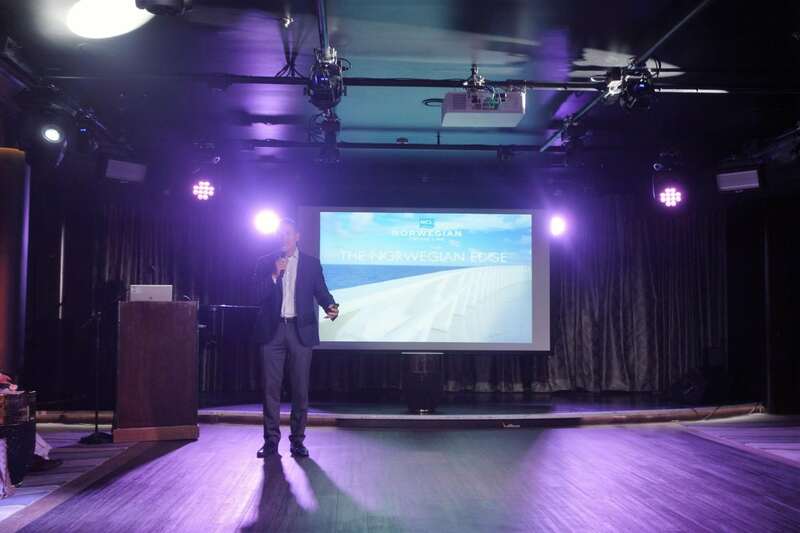 In fact, the venue felt more like a warm and cozy restaurant rather than a cafeteria. 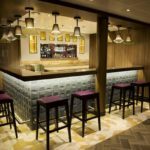 In the “heart of the ship” on Decks 6 and 7, the specialty restaurants and bars were also re-imagined. 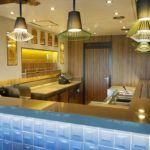 The complimentary Bamboo restaurant and adjacent Sake Bar received new furniture, artwork, and major fixtures. 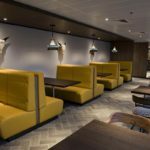 The Teppanyaki restaurant, located inside Bamboo, has doubled in size allowing more guests to enjoy dinner and a show during their cruise. 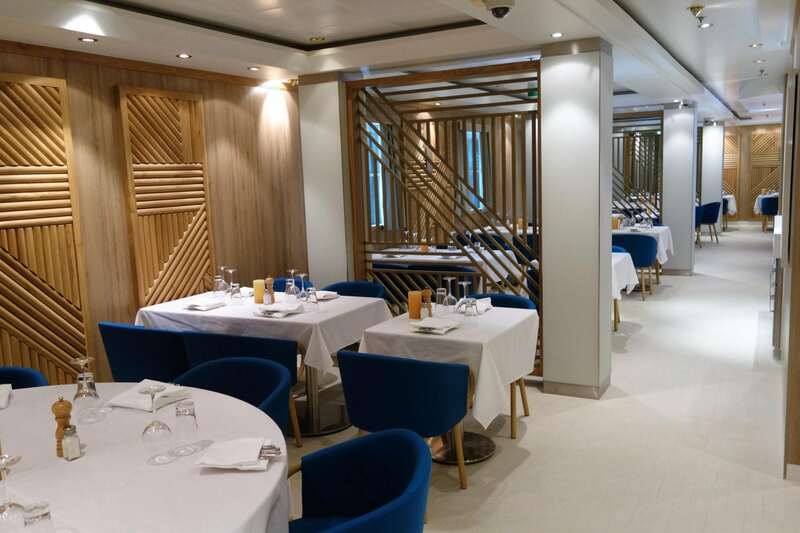 On Deck 6, the two specialty restaurants La Cucina and Le Bistro have switched locations. 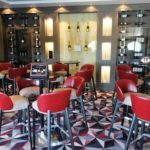 Now serving the same menus offered on Norwegian Escape, these venues were retrofitted with upscale furnishings to match their new menus. 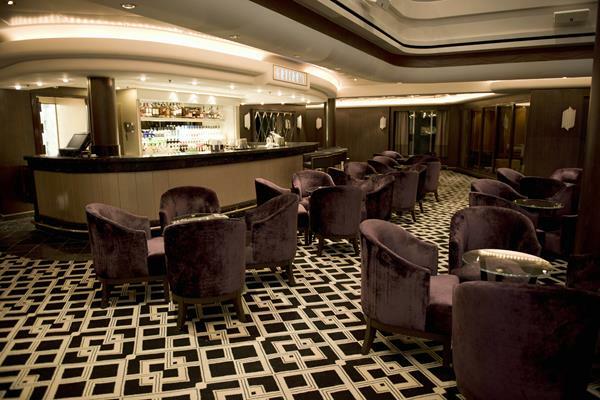 The Gatsby Champagne Bar has also been spruced up. This inviting space has received all new furnishings and lighting to give it a 1920’s era charm and sophistication. It certainly caught the Princess’ eye! 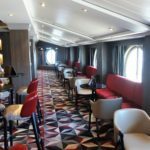 The only indoor lounge that allows smoking, the Cigar Bar on Deck 6, also received new finishings including a brand new humidor. Yes, smoking is still allowed in the Casino. 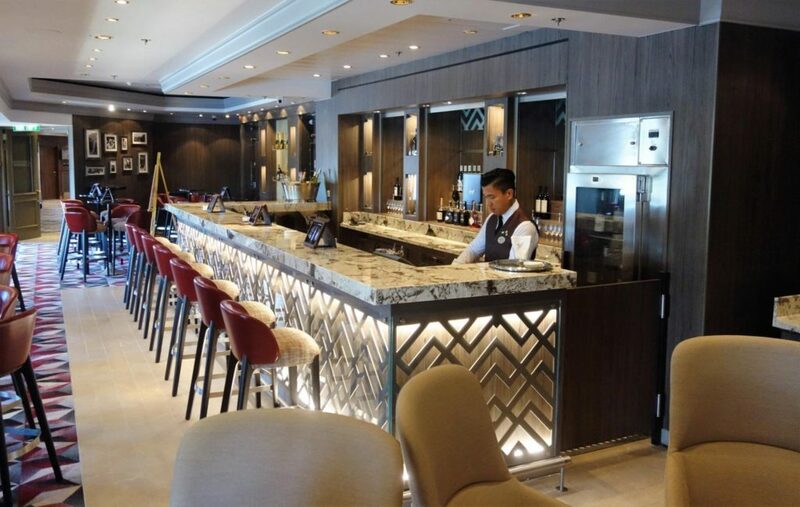 On Deck 7, you will find the new Cellars, a Michael Mondavi Family Wine Bar. 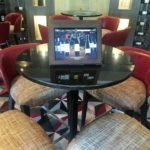 The previous home of the Pearly King Pub, this space is now a modern, upscale wine bar with an art deco vibe. 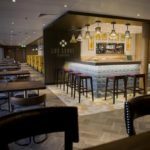 Heading up to Deck 8, O’Sheehan’s Bar & Grill has debuted on the Norwegian Dawn. 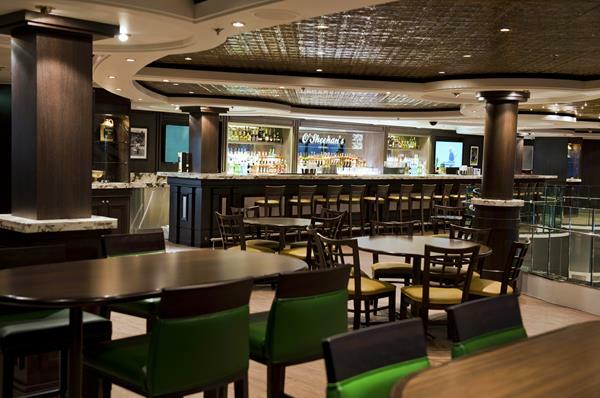 A fan favorite on other NCL ships, this 24 hour complimentary restaurant serves pub style food and plenty of cocktails. 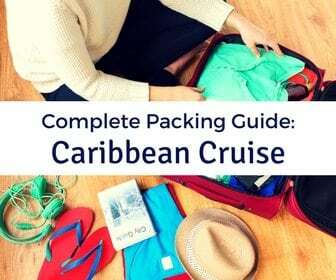 It is sure to be a popular venue on the new Norwegian Dawn. With the addition of O’Sheehan’s on Deck 8, Moderno has been moved to Deck 13. 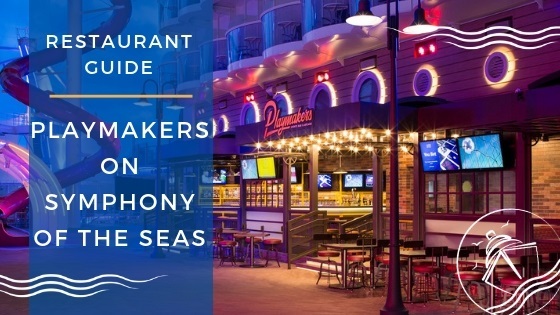 A winning combination on other ships, you will now find Moderno, Cagney’s Steakhouse, and the new Sugarcane Mojito Bar together on Deck 13, all with new and trendy decor. 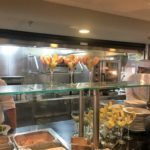 During our time on the Norwegian Dawn, we were able to tour the new Los Lobos Cantina on Deck 12 and taste some of the menu items. 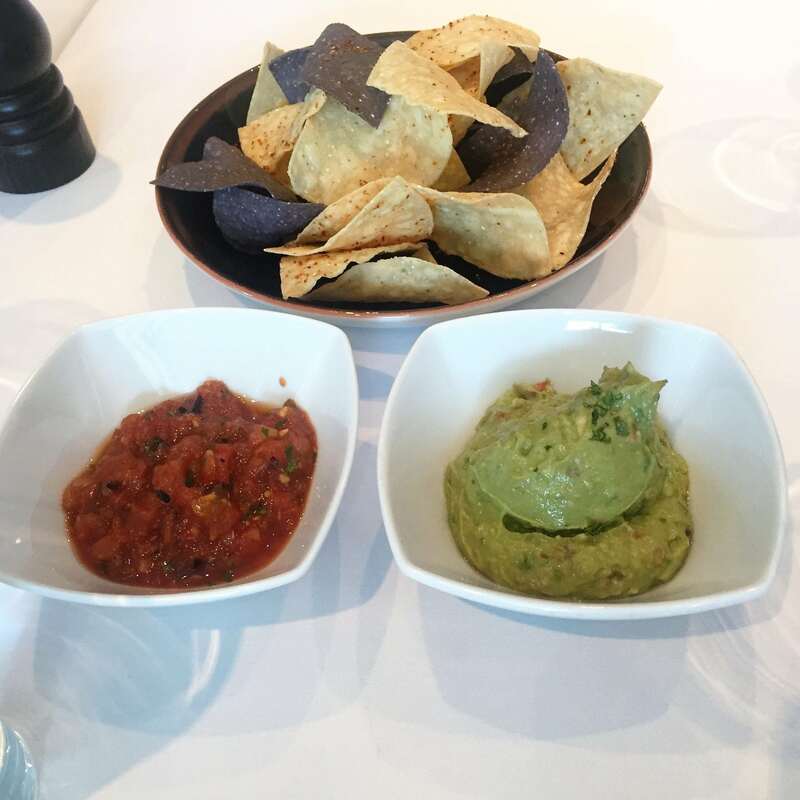 A first for NCL, this venue is an upscale, Mexican restaurant. 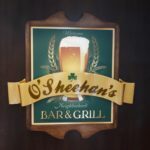 It is scheduled to open on July 1st and will be an a la carte specialty restaurant. 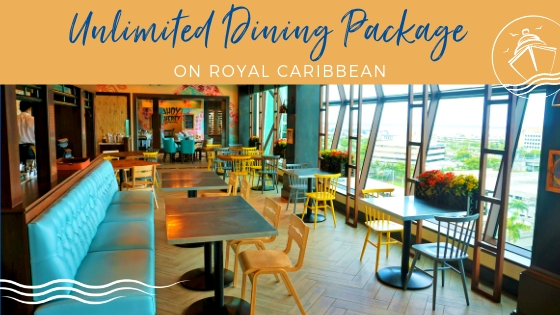 It will be covered in the Specialty Dining Package. The food offerings at Los Lobos will instantly transport you to south of the border. 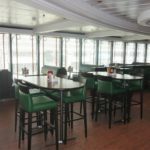 While the official menu is not yet public, cruisers can look forward to chips and salsa, with guacamole prepared table side. 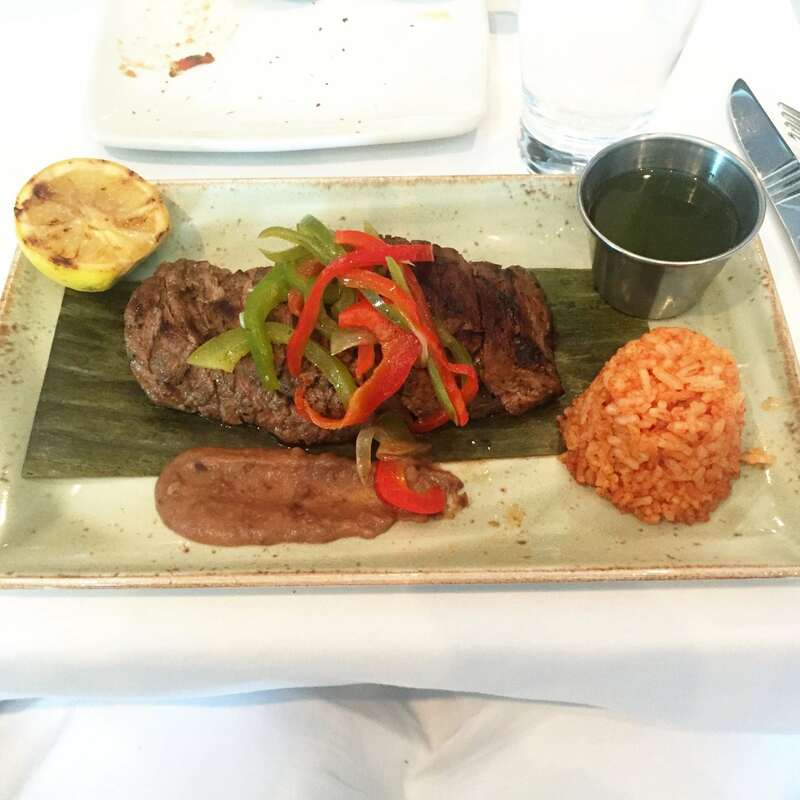 During our taste testing, we had the chance to sample both grilled Skirt Steak and the red Snapper. Both entrees were good, but our favorite was the dessert. 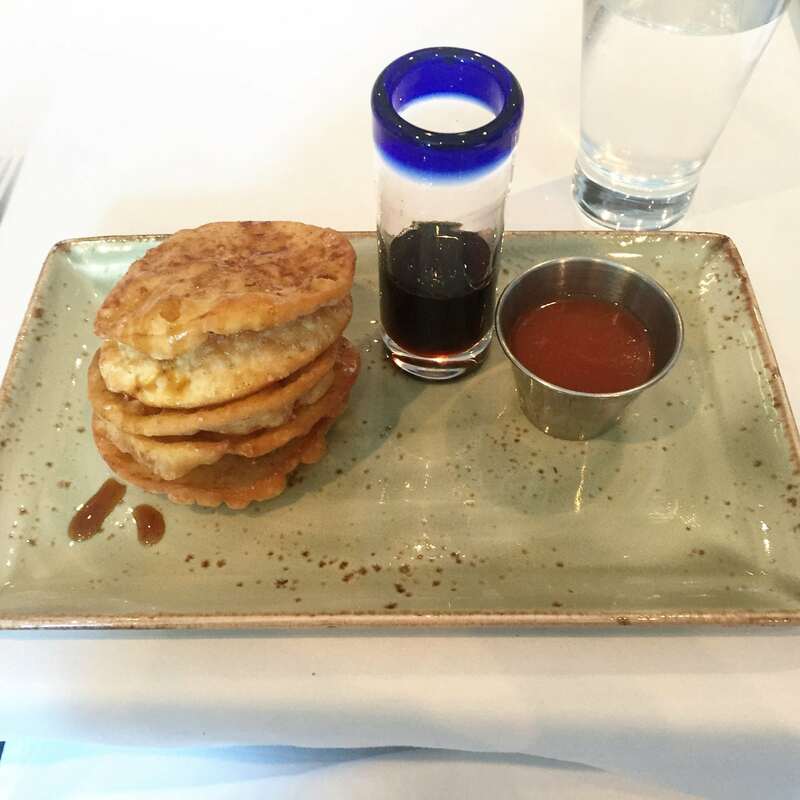 The Fried Beignets were a crunchy, sweet, and mouthwatering delight. Topped with either a brown sugar syrup or a thicker guava syrup, these mini fried dough treats will take a lot of willpower to not devour the entire order! 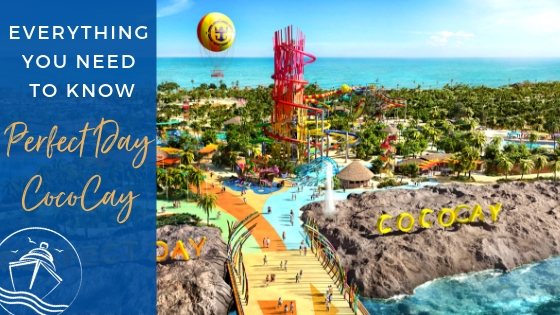 Our afternoon exploring the new Norwegian Dawn left us wanting more! 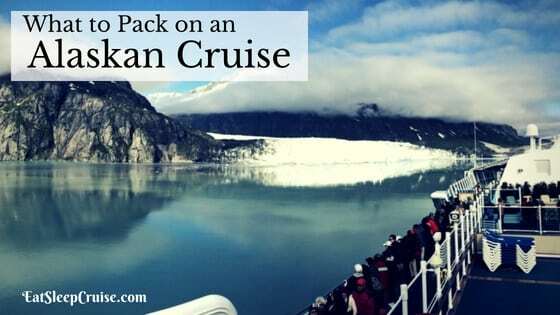 After the tour, a cruise on the Norwegian Dawn is definitely on our list. 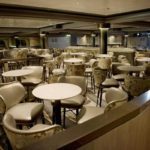 We did not get a chance to see all of the remodeled venues, like the new casino or all of the bars and outdoor facilities. There was only so much we could see in a few hours. 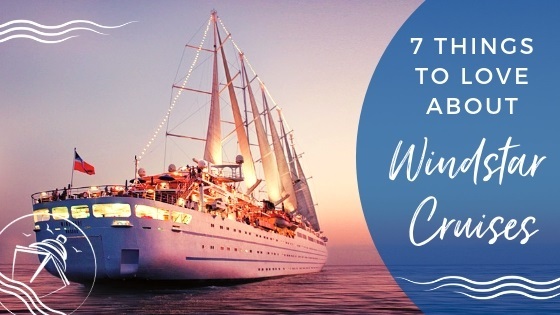 Given its close proximity, it is almost a cruise crime that we have not given this ship a try yet. 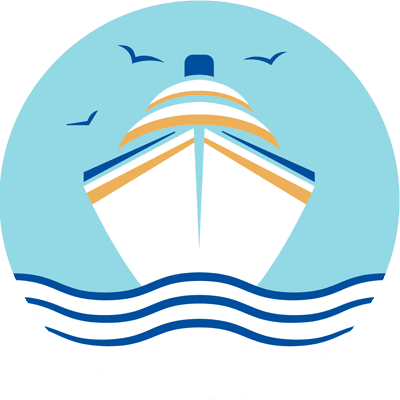 Hopefully, we will find an opportunity to hop onboard sometime soon. 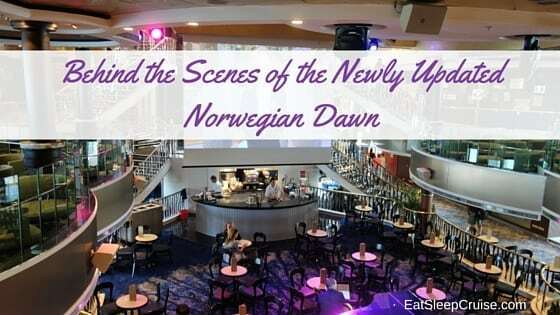 Have you sailed on the Norwegian Dawn in the past? 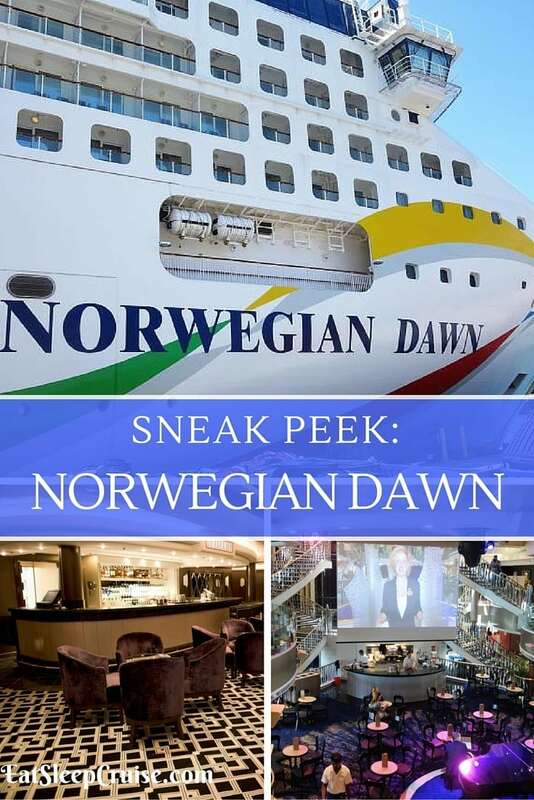 Which of the new Norwegian Dawn upgrades are you most excited about? 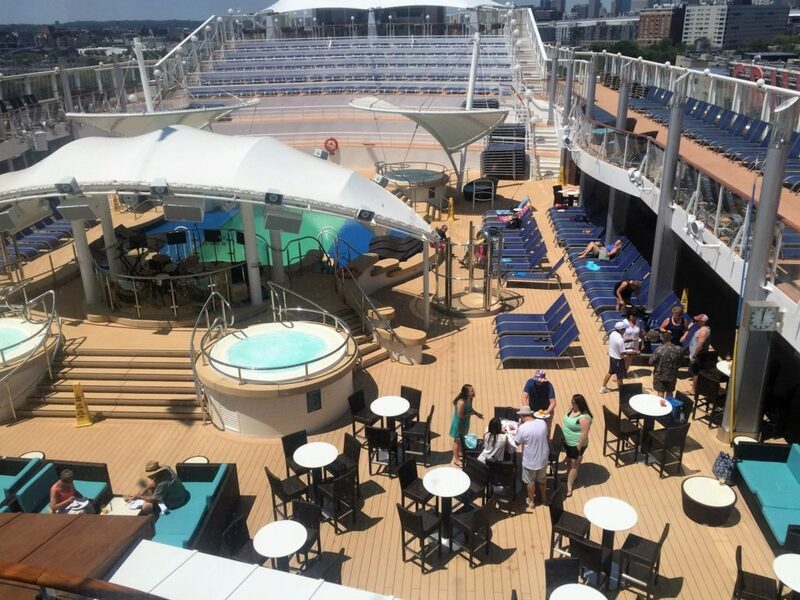 Drop us an anchor below to let us know your thoughts on this totally revitalized new ship. Hi Tim, great question. We honestly have never eaten at Sabor so tough to tell. 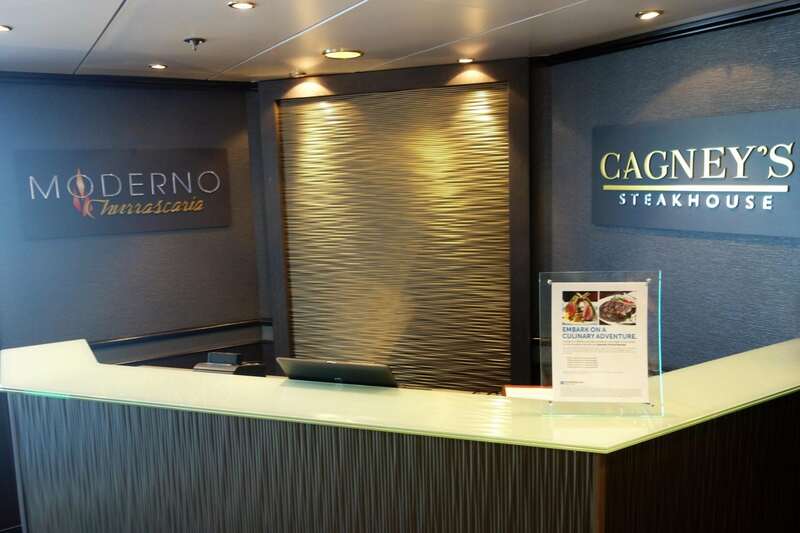 We will be dining on Sabor next month when we sail on Oasis of the Seas, so then we will have a better comparison. 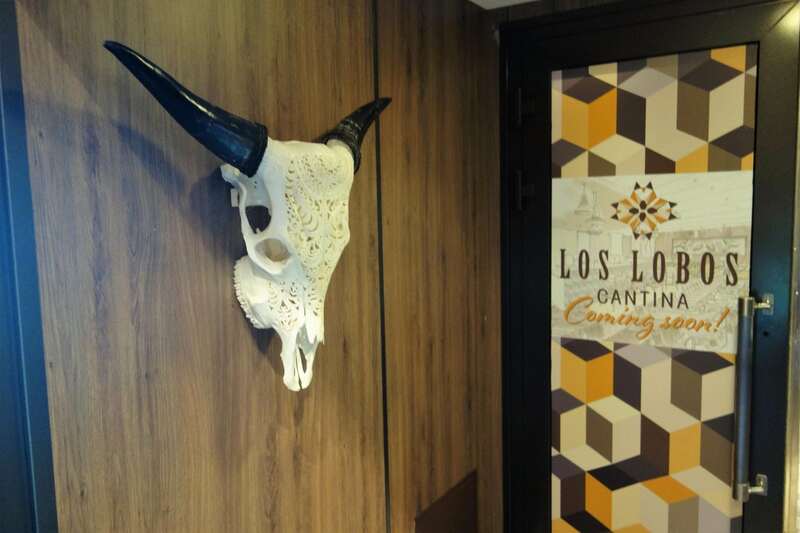 I believe Los Lobos is going for a little more of an upscale vibe, but once we come back from Oasis, we will have a full report. 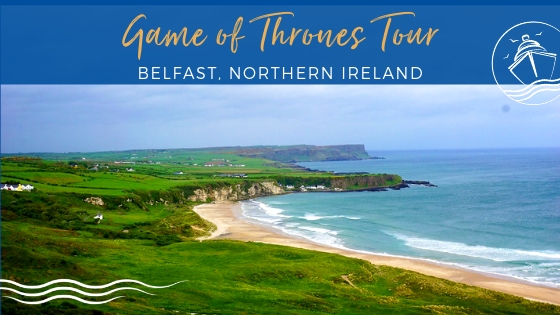 Thanks as always for reading.